SAFE. Hands free, heat resistant, silicone design completely eliminates the risk of burns that occur when handling bulky conventional strainers. 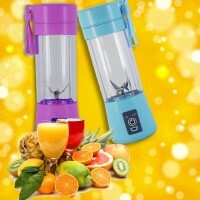 Made of 100% food grade, FDA approved, BPA free, heat resistant up to 450 degrees silicone. PRACTICAL. Small, flexible design allows for easy storage in tight spaces. Perfect for small counter tops. EASE OF USE. Easily attach strainer to pot with two sturdy clips. This strainer will keep the food in the pot throughout the straining process, eliminating the hassle of transferring food between strainer and pot. 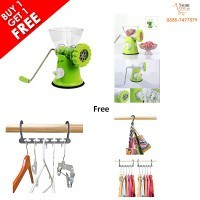 Buy Mincer Maker & Get Wo..